In 2009, former president Barack Obama declared April as Sexual Assault Awareness Month. Sexual Assault Awareness Month was created to raise public awareness and educate communities on how to prevent sexual violence. There are many resources and organizations on campus that help students if they are victims of violence including the Office of Victim Services and SCOPE. But there is a new club on campus to help people see the warning signs of abuse. That club is One Love. In March of this year, freshman Kate Cockerham started the club One Love–an organization created by the parents of a girl named Yeardly Love whose life was taken due to relationship violence. Her parents founded the organization in order to teach college aged men and women about relationship violence and the signs of an unhealthy relationship. On campus members of the club want to hold workshops that create conversations about unhealthy relationships and abuse, specificly by using movies that portray fictional relationships where they are unhealthy or abusive. Their goal is to start a conversation about sexual assault and relationship violence and make people comfortable enough to seek help. Photo from White House Archives. 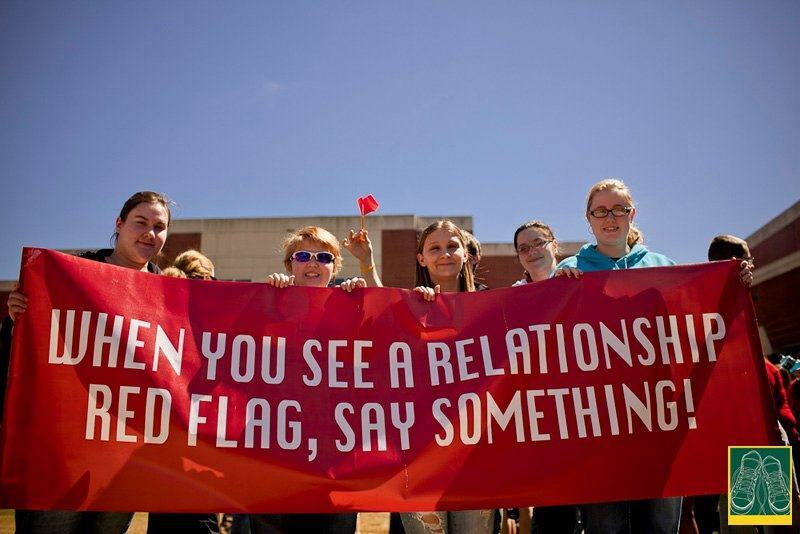 This month One Love was involved in SCOPE's Red Flag campaign to bring awareness of sexual assault and allow for students to becoming educated on the cause. The campaign included a talent show, discussion panel and the event's kick off in Rivers Green where red flags were placed. Having this entity on campus will help guide men and women to the resources on campus if they are need help and educate people on this important topic of relationship violence and unhealthy relationships. For more information about One Love or how to get involved, students can visit the main organization's website. If students at the College of Charleston want to seek help for unhealthy relationships or relationship violence they can visit the Office of Victim Services, Counseling and Substance Abuse Servicies, Department of Public Saftey, Student Health Services, Cougar Counseling or SCOPE. I am a freshman at The College of Charleston, I am a political science major with a love for writing!